Celebrate Christmas All Year! Each of us have our own treasured memories of Christmas. It was my "job" to put Christmas Seals on our family's Christmas cards every year. They had to be placed just right and it was such a big responsibility for a little guy like me. My love for Christmas Seals has stayed with me over the years, and I have such warm memories of my childhood and the holiday season every time I open my collection, or when we send seals out to the winning bidders. We offer mint Christmas seals. The sheets of seals are as fresh as the day they were printed. Check back often as we are continually adding to our stock. Items in this category are now being shipped fully insured against loss, or damage. Topical Stamp Mixture Packets Topical stamp collecting allows us to view images of wild animals from Africa, colorful flowers, lighthouses, cats, dogs, view insects never seen, and to imagine sailing on a lake, or along the coast of a South Pacific Island, all from various countries around the world, in vivid color and representations." New items arrive daily. Check back often as we are continually adding to our stock. Items in this category are now being shipped fully insured against loss, or damage. Foreign Stamp Mixture Packets "I began collecting stamps when I was eight. 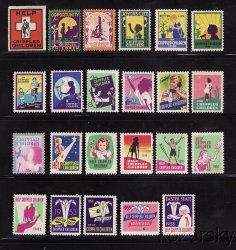 I would go to the Woolworths or Kresges in my town and browse the selection of stamp packets from around the world. When I finally picked out my packet for the week, I went straight home to mount the stamps in my Harris Album." Unfortunately, packet prices are a bit higher now, however, you can still find an assortment in our store to mount in your collection, or to start a collection for your child or grandchild." Items in this category are now being shipped fully insured against loss, or damage. Crate Labels We offer a great variety of old fruit and vegetable crate labels. Our labels are leftover labels that were never used. Unless specifically stated otherwise, they are in mint condition. All of our crate labels are guaranteed old and as advertised - we do not sell reproductions. New items arrive daily. Check back often as we are continually adding to our stock. Items in this category are now being shipped fully insured against loss, or damage. Wine Labels Be sure to browse the old French wine labels in our wine label department. These wine labels would make a great gift or frame for your personal display. All wine labels are guaranteed old and as advertised - we do not sell reproductions. New items arrive daily. Check back often as we are continually adding to our stock. Items in this category are now being shipped fully insured against loss, or damage. Trading Stamps "I guess my mother trusted my ability to lick stamps and place them in the saver books. I had the job of placing the S&H Green Stamps into the saver books when we arrived home from the store or gas station. Once the saver books were filled we went to the S&H Redemption Center to choose the items we wanted." 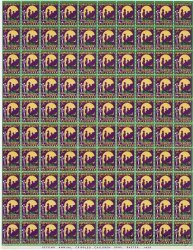 We offer full sheets of mint trading stamps. 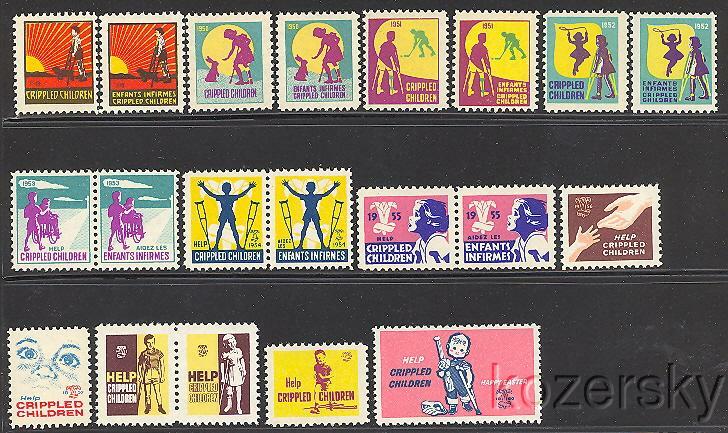 These sheets of stamps are still in their original merchant sale books and are removed upon your order. 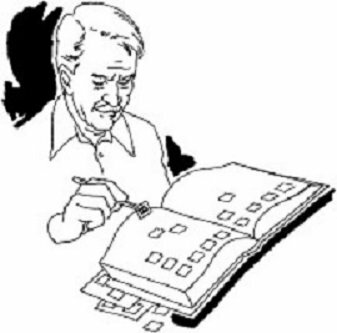 Further, we offer mint saver books that are as fresh as they the day they were distibuted. Check out our inventory today. Items in this category are now being shipped fully insured against loss, or damage. Pictorial Postmarks We specialize in pictorial postmarks from the U.S. Our covers are unaddressed, available with and without a cachet. The Postal Service offers pictorial postmarks to commerate local events celebrated in communities throughout the nation. The postmarks are a great way to celebrate the events of hometown America. We are also offering the pictorial postmarks of Canada. New items arrive daily. Check back often as we are continually adding to our stock. Items in this category are now being shipped fully insured against loss, or damage. Duck Stamps "Like many of you, I grew up in a rural area. I can recall standing in our back yard, on a cool fall day, watching the ducks fly south for the winter. On many occasions, they would land in the cornfields that ended at our yard. There, they would rest and relax by a stream that flowed near the fields. When I open my collection, or send duck stamps to the winning bidders, I fondly remember those days of my youth." Duck Stamps Coming Soon. We are buying. We are always interested in buying Christmas Seals, Easter Seals, Boys Town Seals, Charity Seals, Stamp Collections, and other philatelic material. We do not download images or files sent to us by email. Just send us a list of the items you wish to sell by mail. We will contact you upon receipt.